During the final day of NIC 2014 you have the unique opportunity to follow the creation of a new company, the fictive ViaMonstra organization. 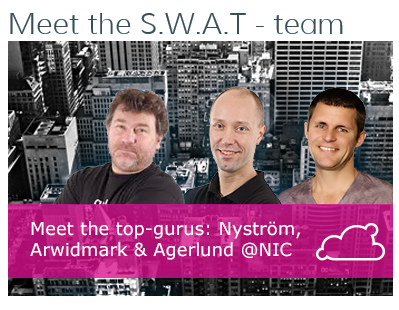 In five continuous sessions, top gurus Kent Agerlund, Mikael Nystrom and Johan Arwidmark, will implement, live on stage, a dynamic infrastructure based on Windows Server 2012 R2 and ConfigMgr 2012 R2. Join us for a day and learn how we build the Datacenter @ ViaMonstra from nothing to a powerful System Management solution that allows for modern management and meets the increasing demands of today and tomorrow. You can expect a lot of tips and tricks, and live demos in this session! See you in Olso! = Oslo?